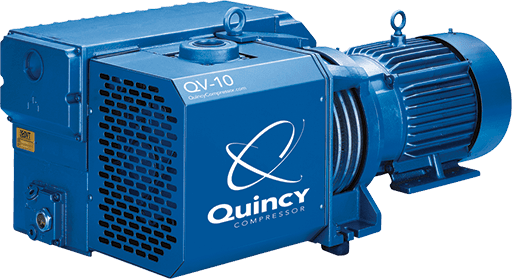 We offer high-quality, reliable air compressor vacuum pumps that are the result of nearly 100 years of unrivaled industry expertise. 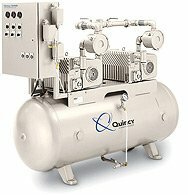 Quincy vacuum pumps are used by companies across the United States and around the world due to their uncompromising reliable and unbeatable performance. They’re also backed by superior 24-hour service and support from our extensive worldwide distributor network. 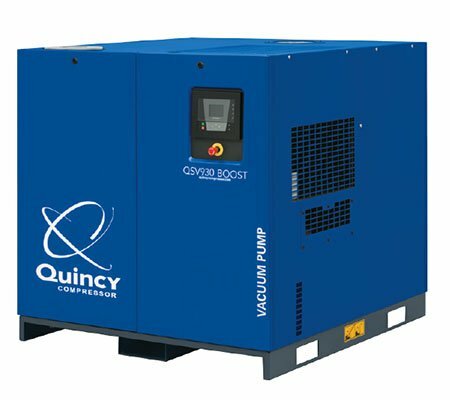 There are various Quincy vacuum pumps to choose from, ensuring you’ll be able to find the right one for your applications. 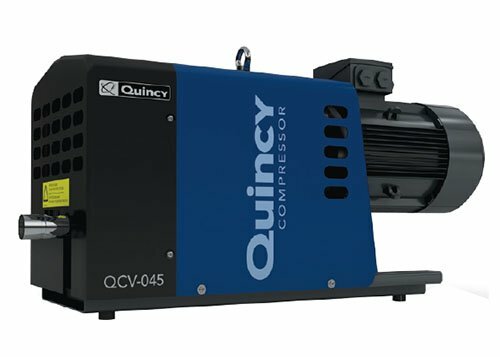 Another direct-drive vacuum air compressor/pump, the QSVI is built for heavy-duty industrial applications. These stand-alone pumps have the ability to automatically adjust the air flow to meet the unique demand capacity of the specific application. The QSVI can also be set to run on a start/stop or continuous basis. Other features include a magnetic motor starter, modulating inlet valve, spin-on fluid filter and full instrument control panel. This powerful and efficient industrial vacuum pump compressor can produce from 25-200 hp and up to 3000 scfm. The QSV focuses on delivering the exact performance you demand, at the minimum possible life cycle cost. Ideal for applications where you need to maintain a set vacuum level (a set point). The new range based on Quincy Compressor’s QCV – Dry Claw technology features an innovative design which creates a new benchmark in the claw pump market. The simplicity, robustness, efficiency and contaminant handling capability of these pumps make them the smart choice for your application. Built to the exacting standards and quality demanded by out customers, the new dry claw pump provides you with a trouble-free and cost-effective solution to meet your needs. 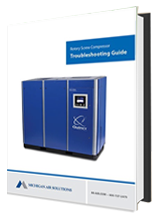 The QV series consists of 13 high-performing vacuum pump compressor models that can produce enough volumetric capacity for even the most challenging applications. These stand-alone systems are also portable, enabling you to easily move them around your facility or jobsite as needed. You can choose a 2 hp vacuum pump or one that can produce up to 40 hp. Key QV features include a multistage separation system, powerful and dependable direct-drive NEMA motor — an optional TEFC motor is also available — and integral inlet check valve. This direct drive medical vacuum pump was developed for hospital applications that demand high capacity and constant vacuum levels. The QVMS medical vacuum pump can fit into narrower spaces in a medical environment, and is ideal for wide range of hospital uses. 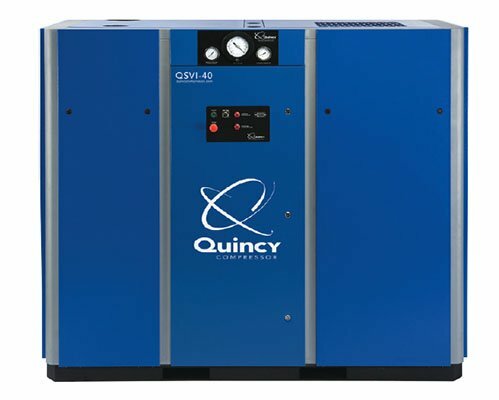 The Quincy QVMS 2-10 hp medical vacuum pump has been designed to be NFP 99 Compliant and at the heart of every QVMS is a Quincy QV rotary vane vacuum pump. Run more efficiently with these quick reference guide that cover common issues. Still have questions? Contact Us—We’re here to help. Questions? 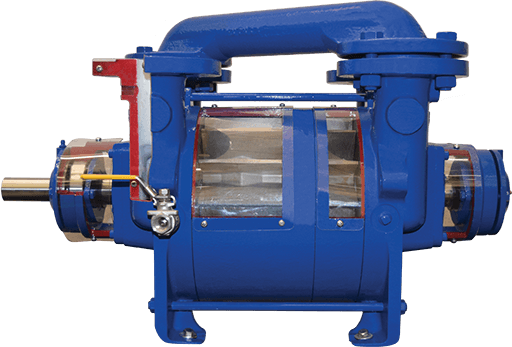 Contact us for more information and advice on selecting and maintaining your vacuum pumps.